Event Invitation: How Modern IT Systems can Help your Business. How modern IT systems can help your business. Find out about Document Management Systems and Cloud Computing and learn about any security aspects of SASS and hosted systems. On March 21st at the Ramada Encore Milton Keynes where Biztech will be hosting a Business Technology Breakfast Seminar. Dan Sharp from Mirus IT joins the panel to discuss the trend to move IT systems out of the office into the cloud with technologies such as Microsoft Office 365. Document managements systems, what are they and how can they help us reduce paper and costs giving better control over our systems? 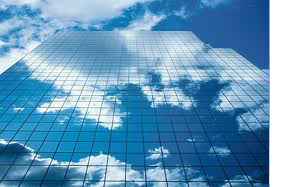 How does cloud computing work and is it suitable for me and my business? Two of many questions that can be answered by attending this breakfast seminar and hearing presentations by Biztech member companies Mirus IT and Document Logistix. Dan Sharp from Mirus IT will discuss the trend to move IT systems out of the office into the cloud (E.g. Microsoft Office 365). Tim Cowell from Document Logistix will discuss the application of technology to remove (reduce) paper from offices and make the information contained there in more available to the organisation wherever people may be. £25 per person and includes a full breakfast.